As part of my yearly resolution to amp up my healthy eating and fitness habits, I’ll be providing you with umpteen reviews of different fitness/workout plans (DVDs and video games) and nutrition plans (“diet books”). Let’s start with a great new book that HarperOne released on December 28! I received the opportunity to review an advance copy of this book as an offer from One2One bloggers’ network. I knew almost nothing about it or the author and was surprised to find a well-organized and nutritionally sound plan. Main Points: This is a thirty day plan, with explanations for how to continue to follow the basic ideas once the thirty days are over. You can start with an optional five day “fast forward”; that’s followed by a 25-day (or 30-day, if skipping “fast forward”) set of meals made up of specific ingredients (or “puzzle pieces”) set at timed intervals. You get three meals and two snacks per day and plenty of beverages (from a list of approved choices, including “Zesty Cinnamon Berry Basil Tea”). Sass provides plenty of recipes, or you can build your own from the “five puzzle pieces” the meals are made from. The puzzle pieces are: produce, whole grain, lean protein, plant-based fat, and SASS – Slimming and Satiating Seasonings, which replace things like butter and cream. Sass emphasizes choosing organic options and fair-trade chocolate, and encourages readers to avoid red meat (which is not part of the Cinch! plan). 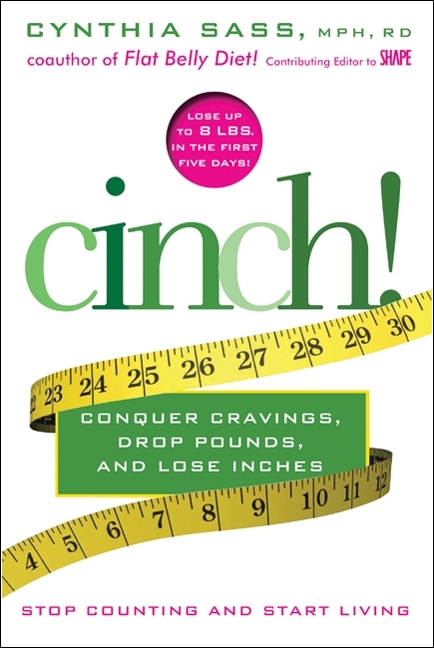 Additional chapters encourage walking as exercise, explain how to continue using what you have learned past the 30 days of Cinch!, answers multiple questions readers may have, and includes a chapter on conquering emotional eating. If you are a vegan or interested in eating fewer animal products, Sass provides plenty of options for you, too! What I Like: First of all, dieting or no, I would encourage someone to buy this book just for the recipes alone. Chocolate Pear Ginger Smoothie has quickly become one of my favorite things to whip up. Other meals include combinations of ingredients that may be new (and tasty) to you, such as strawberries, avocado, and balsamic vinegar in tacos, or green tea for stir-frying veggies! Most recipes seem pretty quick and easy to whip up. And, dark chocolate is required as your daily fifth “meal” (with a few truffle recipes provided)! The plan does seem nutritionally solid. Sass stays on top of current research and studies and clearly knows her stuff; she explains multiple recent studies to back up her including certain foods in the plan (and asking you to refrain from others, such as red meat). Her “five puzzle pieces” idea can work for a lifetime, not just 30 days. There is a quiz you can take to help you determine if you might need to decrease or increase the sizes of the meals to fit your personal needs. There is NO calorie counting which is refreshing … Sass puts more of the emphasis on enjoying your food. Sass’s writing style is smart, easy to read, and friendly, and the research she discusses is interesting and thought-provoking. What I Don’t Like: I never like claims that you can lose X amount of weight in Y days by following Z plan. Why? It just makes the plan sound gimmicky. Most of what you will lose is probably water weight. And anyway, the focus of the fast forward is to prime your body to eat differently and get you energized and ready to change your habits for good. So it seems unnecessary and even counterproductive to tout this claim on the cover. Some of the ingredients for the meals can be pricey. Final Thoughts: If you have a hard time disciplining yourself for any plan, you may find this one just as difficult. But there are so many recipes and new food combinations to try that you may not. And you aren’t counting carbs or calories or fat grams, just changing what goes into your meals and when you eat them. My favorite thing about the plan is that it really is not so much a gimmick but a way to change your eating. Some diets out there are too “yo-yo” meaning you can actually hurt yourself and your body’s metabolism by doing them. But I don’t see that you have anything to lose by following Sass’s ideas – everything is fresh, unprocessed, and good for you, and no, you definitely won’t starve! Disclaimer: I am not a nutritionist nor a doctor and this blog constitutes my opinion only and not medical advice. I did not receive compensation for this review and was not required to write a positive one. This information was current at the time of my review. Do not start any eating plan or program without first talking with your doctor. You are responsible for your own actions. I disclaim any liability from the use, proper or improper, of the material in this review or of the product mentioned therein. Watch a Trailer for … a Book? When Eric worked at the Food Lion in our old town of Blacksburg, he would occasionally tell me about commercials he heard broadcast on the grocery store radio station … for books. He described these commercials as being like movie or TV show advertisements, with an announcer and characters speaking. Now it seems that this is becoming more popular. I can’t help but find it a bit odd, but I’m not going to act like it doesn’t make me pay attention. And here’s one for the Jane Austen “re-write,” Sense and Sensibility and Sea Monsters. This one has actors in it playing out a scene. And I nearly died laughing watching it. Edit: If you’re wondering why my blog looks all funky with the categories and everything like that suddenly shifted closer to the bottom, the truth is that I have no idea. I don’t think the theme changed, but I really don’t recall fooling with anything either. Eh, I’ll try to figure it out later. Anyone who knows me knows that I am a ridiculous bookworm. I will try to read just about anything, and I have a stupidly huge collection of books that takes up way too much room. Some people collect coins or stamps. I collect books (and lip gloss). It’s easy to see that this hobby is inherited from my parents (especially my dad), that my sister also inherited it, and that my brother-in-law shares our “problem.” (My aunt is probably only safe from this syndrome because she has a Kindle.) Now, my sweet boyfriend is way too patient for his own good and did not even roll his eyes when I excitedly informed him that we would be visiting The Book Thing with Cat and Rob as part of a litany of Valentine’s Day weekend events. He deserves much credit since he has tripped over, stubbed toes on, cleaned, moved, and glared at literally thousands and thousands of tomes. He even smiled at me when I told him I would be painstakingly giving away 30 books that I have never read and probably never would (because they look pretty bad) away to The Book Thing. Well, enough babbling. Let’s take a look at a few of the funkier things we got this time. And please visit The Book Thing’s website at http://bookthing.org/index.html. I have always had a thing for old textbooks (okay, math, not so much). This is a fourth- or fifth- grade level reading text. There was a huge box of them next to the kids’ books bins, where a man ran up and frantically threw books up in the air as he plowed through all 10 bins. Hmmm! 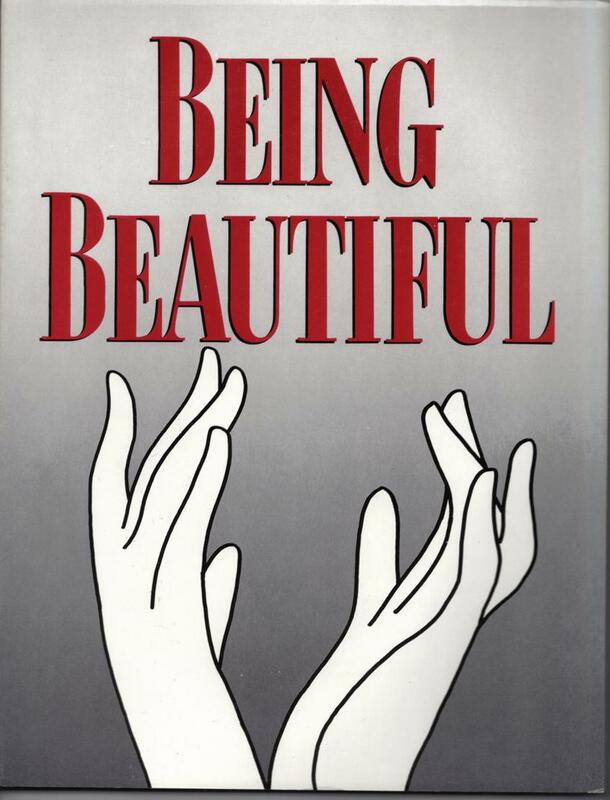 This is an independently published collection of essays about society’s view of women’s beauty, and how companies push their beauty products on women, among other things. There were about 50 of these in a box. 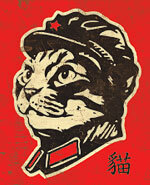 It was published by the Center for the Study of Responsive Law and has a 1986 forward from Ralph Nader. 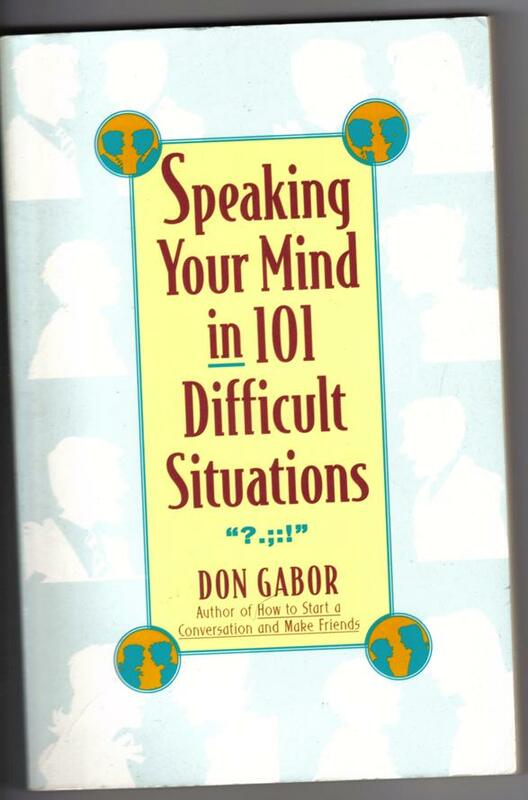 This book is part of the Opposing Viewpoints series, which presents exactly what it sounds like. 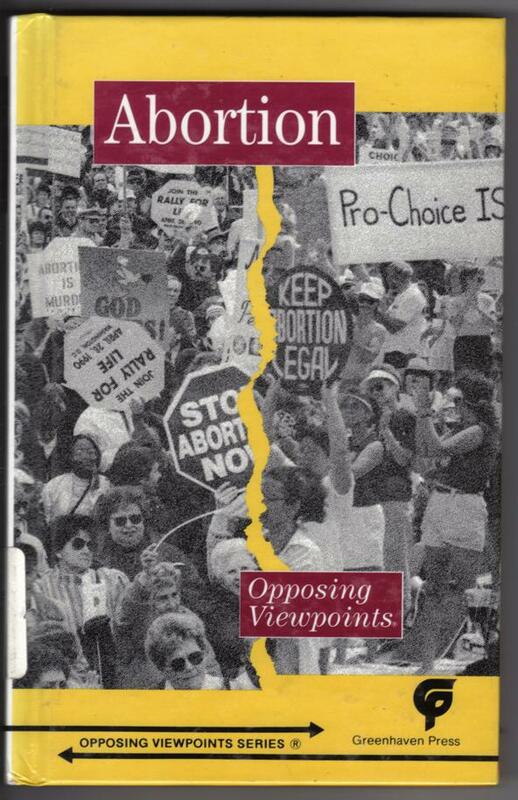 This edition focuses on the hotbed topic of abortion and the many and varied opinions of the subject. One of my favorite parts of the newspaper has always been the letters from people who feel differently about various topics than I do, so I was drawn to this like the proverbial moth to the flame. In my youth, I had a hard time knowing how to tell someone something negative. Working in certain difficult environments and going to college certainly changed that, but I could always use help with less-than-pleasant situations. But some of the suggestions sound rather … well, scripted. This book is guaranteed to at least be entertaining! 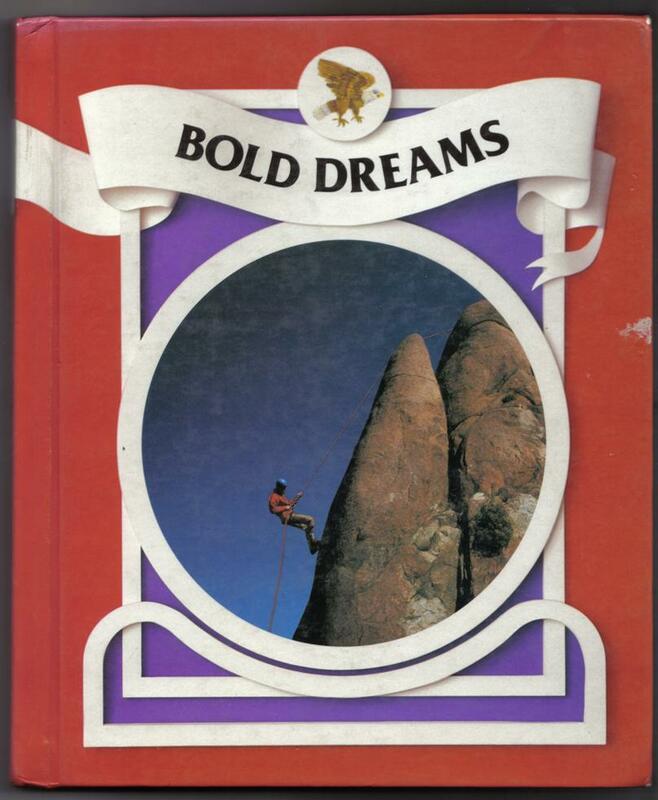 I had heard of this book, but never bothered to check it out. I certainly could’ve used it at a certain point in my life. 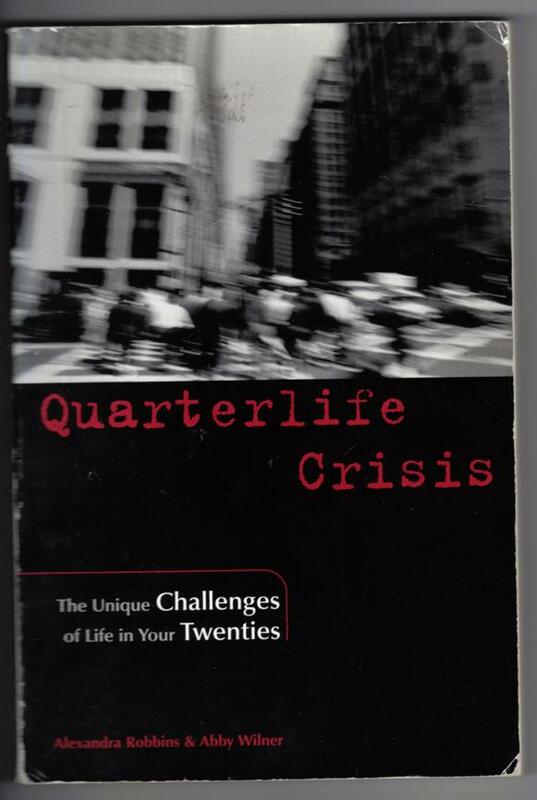 It’s based on the idea that people go through a quarter-life crisis along with a “mid-life” crisis. 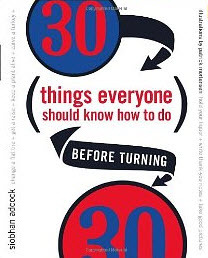 People in their early- to mid- 20s face uncertainty about what to do with their lives, and how to “figure it all out.” I still face this at 28, as do many people I know who are far older than me, so I don’t think it’s restricted to any one age range. There’s a corresponding website: http://www.quarterlifecrisis.com/. I LOVE old pulp fiction art! Yes, this is a collection of tawdry paperback covers from yesteryear! And, they are all magnetic postcards! I can’t get any to stick to my fridge though. 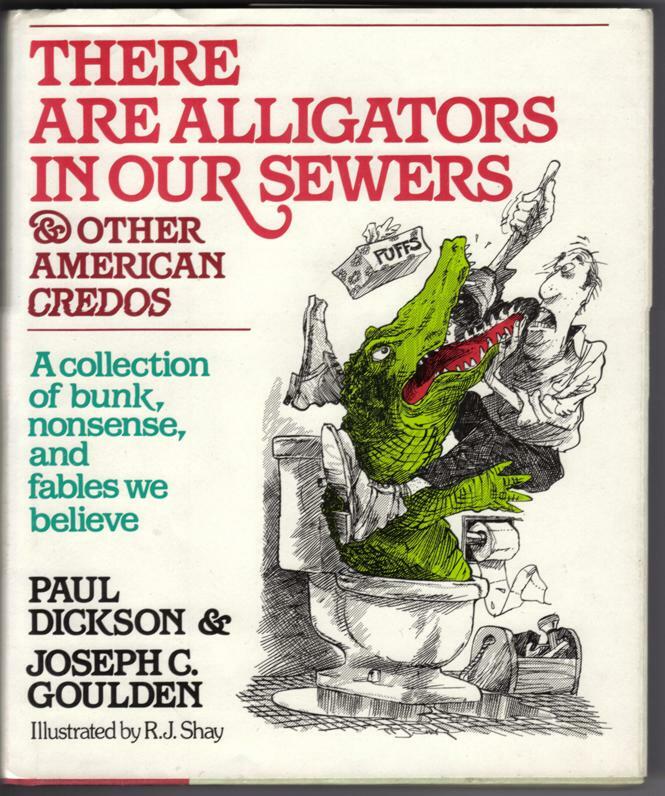 Despite the cover’s appearance, nothing in here is really dirty, just funny! 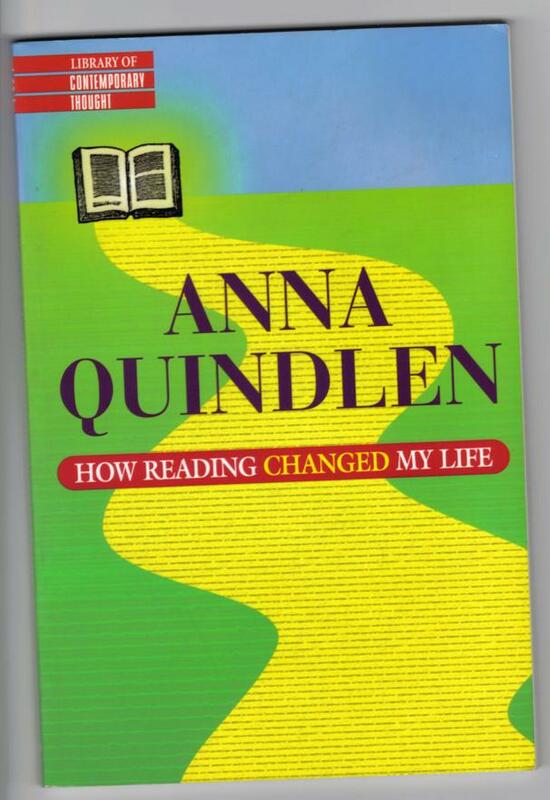 I loved Anna Quindlen’s newspaper/newsmagazine writing, although I’ve never read any of her novels. This ought to be a cool read.